At EBPC Personal Injury Lawyer, we have dedicated ourselves to the rights of victims of accidents in Fergus, London, Gloucester, and Belleville, Ontario. Our dedicated staff of injury lawyers has consistently recovered fair and equitable compensation for our clients in Fergus, London, Gloucester, and Belleville after an injury due to an accident. We only practice personal injury law so our clients get our vast expertise with the rights of accident victims and their families. At a very stressful time, victims need the experience of professional legal representation that matters. As medical bills mount, victims can feel overwhelmed and afraid. That is when having legal advice is so important. Over the years, we have represented the rights of our clients through these difficult times and fought for their fair compensation. Before you are tempted to accept the settlement from the insurance company, you should know your legal rights. Insurance companies very seldom offer settlements that are in the victim’s best interest. It is well documented that victims who have legal representation are awarded far larger settlements than ones who don’t. According to the Insurance Research Council, accident victims who were represented by an injury lawyer were awarded almost four times the compensation than those who accepted the insurance company’s initial settlement. Even if you haven’t considered legal representation, you owe it to yourself to see if the settlement the insurance company is offering is a fair one. 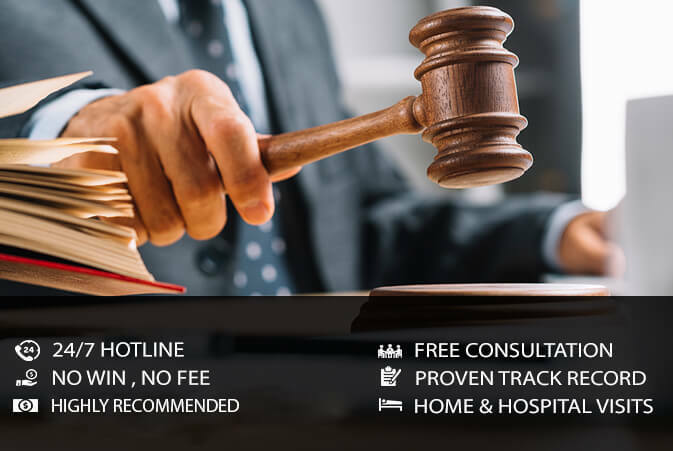 It is in your best interest to get the advice of a personal injury lawyer in Fergus, London, Gloucester, and Belleville before you accept a settlement. Your physical and emotional healing are just as important as your legal representation. We have assembled a team of medical experts and therapeutic professionals, psychologists, and expert witnesses so we can offer you the best possible physical and emotional care for your long-term success. If you have sustained injuries as the result of an accident, call the personal injury team at EBPC Injury Law to represent your rights in Fergus, London, Gloucester and Belleville, ON. Our no-obligation consultation is at no cost to you. Our team of personal injury lawyers work on a contingency basis which means if we don’t recover compensation on your behalf, you don't pay. At EBPC Law, we are dedicated to the rights of injured parties in Fergus, London, Gloucester, and Belleville, Ontario. Call us today to see how we can represent your rights after an accident.